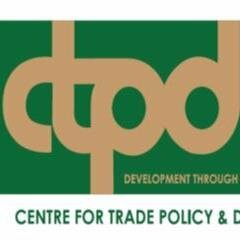 The Centre for Trade Policy and Development (CTPD) has urged government through the Ministry of Finance to publish guidelines on sales tax implementation. The center says that this is because Zambia only has four days from the day this has to come into effect. CTPD Executive Director Isaac Mwaipopo said that the silence on the part of government to communicate such important economic policy changes to the business community in time to allow for prudent business planning may impact negatively on business and the economy at large. “We note that since September last year, Government is yet to address the major concerns regarding the transition towards Sales Tax: There is no indication of the rate to be used and how government seeks to deal with the cascading effect of the tax, among others. In presenting the 2019 National Budget address before parliament, the minister of finance indicated that Zambia will shift towards using Sales tax effective April 1, 2019, this proposal came as a surprise to many especially that countries are now moving away from this type of taxation due to challenges in implementation,” he said. He said that the silence on the part of the Ministry of Finance regarding how sales tax will be implemented is greatly worrying, especially for the business community. Mwaipopo stated that this situation has the potential to impede economic growth and stability. “When economic agents are not well informed and made to work under heightened uncertainty the country is at risk of experiencing a significant reduction in private investment, foreign direct investment and consequently reduced economic activity and growth,” he observed. He noted that tax changes of this magnitude affect foreign direct investment since foreign investors needs to also make proper forecasts of their returns before making such investments. “We remain concerned with the delayed release of the guidelines on sales tax implementation and we would like to urge government to consider postponing the implementation of sales tax so as to allow for more consultation. According to the recent economic brief issued by the Ministry of Finance, VAT was cited to have been one of the best performing taxes in 2018, we remain wondering why we are getting rid of a good performing tax,” he wondered.